Trocadero Palace. Paris. 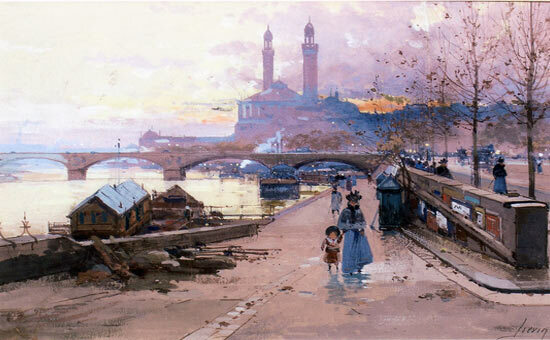 The painting by Eugene Galien Laloue. The Trocadéro Palace was inaugurated on May 1st 1887, the same day as the official opening of the Universal Exhibition for which it was erected. It was destroyed in 1937 and replaced by the Palais de Chaillot.